Well that’s great, but I like to keep my music organised by artist alphabetically. I also like to organise things myself. What if you want to download some mp3 tracks from a source other than the iTunes store! 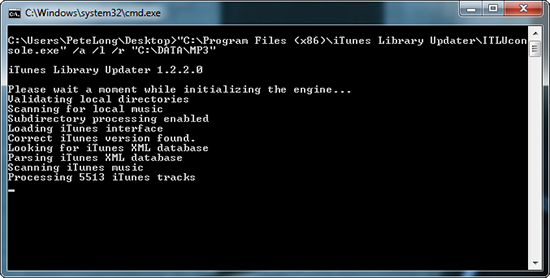 Or you have torrented down some (completely legal) tracks you want to add to your music collection? 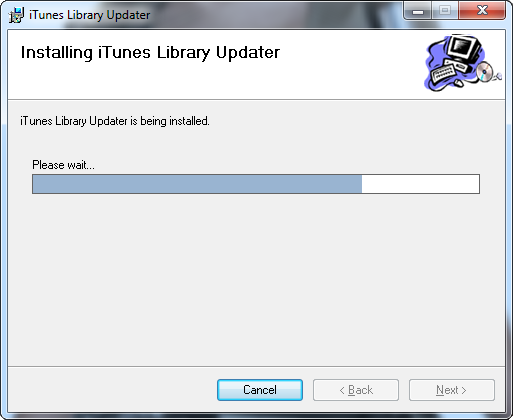 Or I have TONS of music I want to add, and I want to keep that on my USB drive, what then? Why can’t there simply be a button to "re-sync" your music from your folders? Because as usual if you don’t do things the "Apple Way" then tough, they are not interested. 2. You might struggle to find it once its installed! 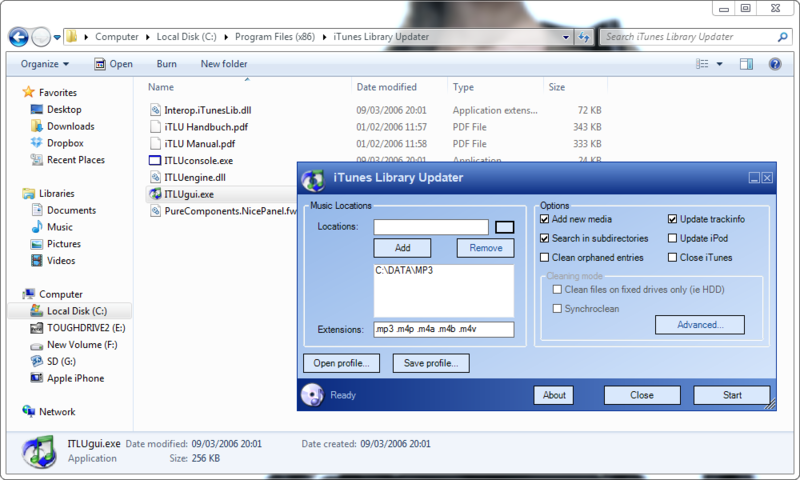 Open Windows explorer and navigate to c:Program files (x86)iTunes Library Updater and run the ITLUgui.exe file. (If you plan on using this a log I’d right click it, and select send to Desktop (create shortcut). Add in your folder(s) and select Start. 3. To Automate: Edit the batch file that comes with the software (iTLU.bat), by opening it in notepad, and change the folder path from mine to yours. 4. Then to sync, simply run the batch file.